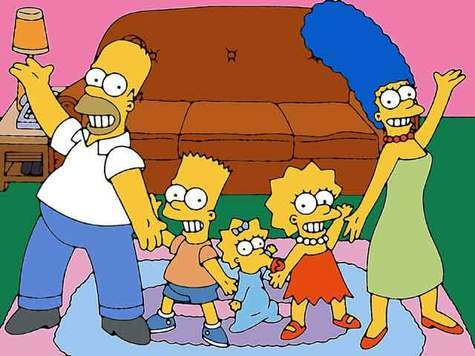 A few days ago, Fox announced that unless The Simpsons voice actors took a 45% pay cut, the show would be cancelled. This immediately upset me, not because of Fox’s selfishness (okay, that upsets everyone), but the fact that they would consider ending the greatest TV show of all time. The Simpsons may not be what it used to in the nineties, but it’s still much better than most comedies on TV (if you have seen Whitney this year, you would know). What I love about The Simpsons is its terrific voice cast, which easily ranks as the best cast of all time. The voices could be easily imitated by other actors, but if Fox did get new voice actors to play the characters, the show would lose its substance, which is one of the few things that is keeping the show on the air. But I had doubted that Fox wouldn’t be stupid enough to cancel The Simpsons, even though the broadcasting company has made some of the worst decisions of the last decade, like canceling Arrested Development and letting Seth MacFarlane make more shows for them. At turns out the crew backed out before Fox did. The producers were willing to take a pay cut to keep the show on the air, and Harry Shearer, who plays characters on The Simpsons such as Mr. Smithers and Mr. Burns (and who I also saw at a showing of his documentary about New Orleans, The Big Uneasy), was willing to take a 70% pay cut to keep the show running two. And just recently Fox agreed to order two more seasons of The Simpsons. But if The Simpsons were to end, it should have a proper finale, not one where Fox decides to finally pull the plug. Maybe in the show’s 25th season will the producers decide it’s time for The Simpsons to move on.